In 1984, when CDs were still a new format, Richard had just completed the second Christmas album, AN OLD FASHIONED CHRISTMAS. 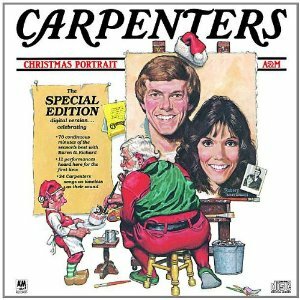 With this album’s material still fresh in his mind, when he set about providing a compact disc version of Carpenters Christmas music, it was decided that A&M would release a “Special Edition” of CHRISTMAS PORTRAIT. This would include parts of both albums, combined in a fashion that would meld the best of both into one long disc, utilizing the compact disc’s longer time capabilities. With 74 minutes being the upper limit at the time, the CHRISTMAS PORTRAIT SPECIAL EDITION used over 70 of them. The disc sold well – a perennial evergreen for A&M that still sells to this day. Fans though clamored for the original album as it was released in 1978, and while that was never intentionally released, it DID show up in West Germany for a time, making for a well sought-after anomaly in the Carpenters canon. The original CHRISTMAS PORTRAIT program was released as a total remix with thick reverb in the CHRISTMAS COLLECTION 2-disc set with the later Christmas album also included. CHRISTMAS PORTRAIT SPECIAL EDITION boasts much of its material in non-remixed form, so it has that going for it.